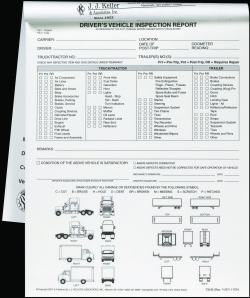 Detailed Driver Vehicle Inspection Reports with Illustrations list specific vehicle parts to help simplify inspection... drivers simply check-off parts that need repair. 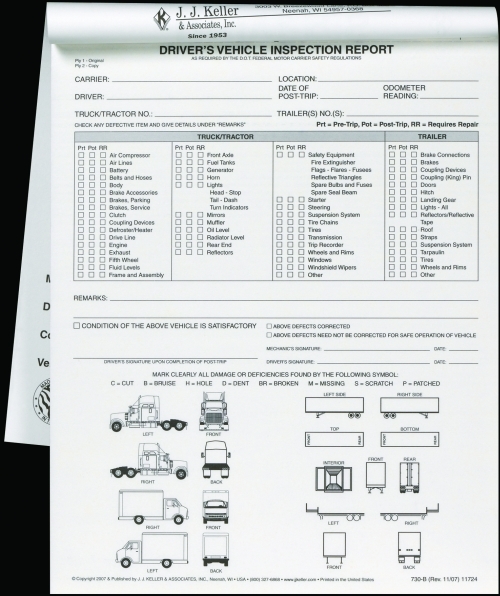 Illustrations aid report accuracy and save time, by helping drivers locate and identify areas of the vehicle with damage or deficiencies. These DVIRs are available in 4 styles - each for a different type of vehicle with its own specific checkpoints and illustrations. All available in any of book format and snap-out format all detached, either with carbon or carbonless, stock or imprinted.